It’s Fall! That means for many of us it's peak orienteering time throughout the United States. It has been an incredible season with the North American Orienteering Championships, a great National Orienteering Day, and much more. 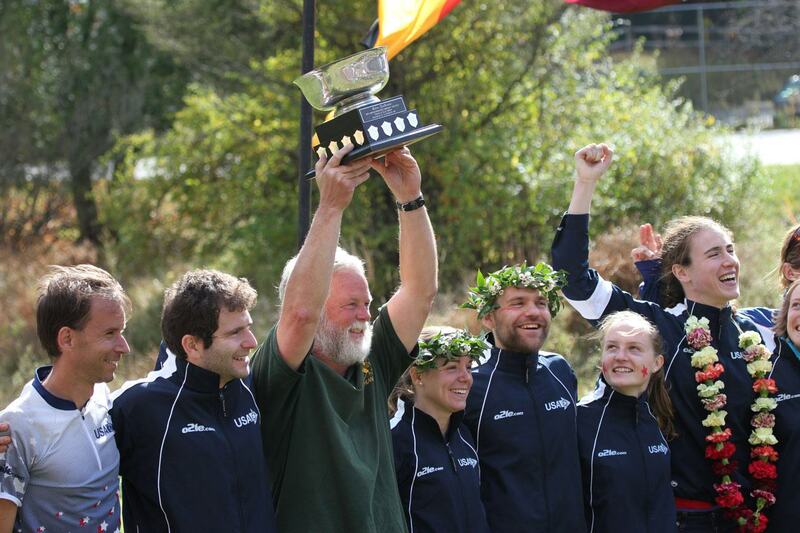 The Team USA senior squad successfully defended and retained the Bjorn Kjellstrom Cup defeating Canada at the North American Orienteering Championships. This success was nearly matched by the Team USA junior squad who tied their Canadian counterparts in the inaugural Future Champions Cup. These two events were only a few of the highlights of a spectacular three-day weekend of orienteering in northeastern Pennsylvania as over 700 orienteers ran in the Championships. Orienteering USA thanks our hosts, the Delaware Valley Orienteering Association, Event Director Sandy Fillebrown and all of the volunteers who made this event such a success. Mark your calendars now for the 2014 North American Orienteering Championships held October 10 – 13, 2014 in Ottawa, Canada. OCIN will be hosting the 2012 OUSA Ultralong, Relay and Night Orienteering National Championships. They will be held in Cincinnati from November 30 – December 2. Visit www.ocin.org to register. See you in the Queen City! Congratulations to Erin Schirm who has been named as Junior squad coach and will now work full time on junior development with clubs and coaches. Erin’s position was made possible by an anonymous donation. In other Junior news, they are: working on a development team, planning junior training events, a junior trip to Europe and much more. To learn more, or get involved contact Barb Bryant at barb.bryant@gmail.com. Starting January 1, 2013, Choice Hotels will become the Official Hotel Partner of OUSA. With 5,200 properties in the US and Canada and a range of price points (Comfort, Quality, Sleep, Econolodge, etc), Choice provides something for everybody. Beginning in January, orienteers (not just OUSA members) can save 15% off the published rate. Plus OUSA receives a 5% commission for every dollar spent. If you still have rooms booked with Motel 6, we will receive commissions until the end of this year. The nominations for the Orienteering Awards for the best orienteers are open after the NAOCs. They will close a week after the Relay/Night/Ultralong Championships hosted by OCIN. There are four awards given: Best Senior, Best Junior, Best Team and the Comet of the Year who is a rising star. Nominations should be sent to: pgwolfe66@gmail.com and should include the name and a few sentences about why the person should be considered. Discover Orienteering. Discover the Fall.